Icelandic Sheepdog is a breed of spitz type breed and has is thought to have developed from the dogs brought to Iceland by the Vikings. 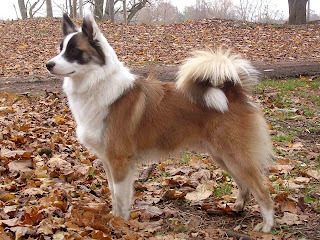 It is similar to the Norweigan Buhund, Shetland sheepdog and Welsh corgi. This breed of dogs is sometimes described as a large dog with in the body of a small dog and being the Iceland’s only native dog, this breed is believed to be the oldest breeds in the world. They are used mainly for herding sheep in their native country. This breed of dogs is a normally fit and robust breed and tends to live for nearly 12 years.